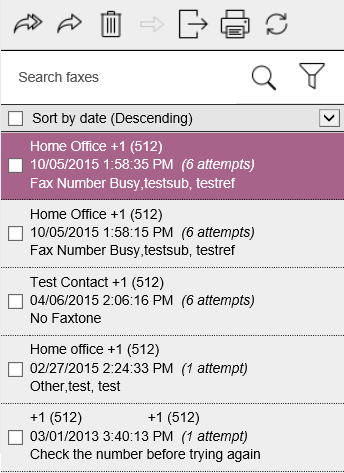 If you need to resend a fax that previously sent from Sfax, this can be easily done from the “Failed” folder. 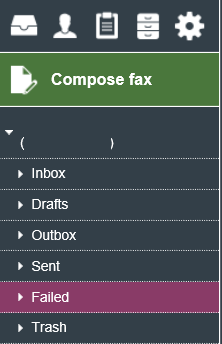 Select the failed fax in question, and then select either the Resend or Forward option. Forward will allow you to enter a new recipient number. If you select the Resend option, you will receive a final confirmation prompt to resubmit the document. Click on Send to submit the document for processing. f you chose the Forward option, you will be taken to the Compose page, where you will be enter your new recipient(s), attach any additional documents or edit existing documents, and choose a cover page for your fax. Once complete, click Send on the top right corner to submit for processing. After a failed fax has been resubmitted for processing, either through Resend or Forward, it will remain in the Failed folder, as the new fax will be a different transmission for auditing. If you have any questions, please submit a ticket by emailing support@sfax.j2.com.